One of the first things you probably did after getting engaged was to set a budget, or at least a rough estimate, for your wedding. This will have taken into account the big things – photography, venue, catering, the dress etc.. But did it include the little extras – the basket full of flip flops you plan to have by the dance floor for tired feet, the thank you gifts for the bridal party, the matching hangers for dresses the morning of the wedding, the perfume you want to be your bridal scent? These things, although small in cost compared to the big things, all add up. 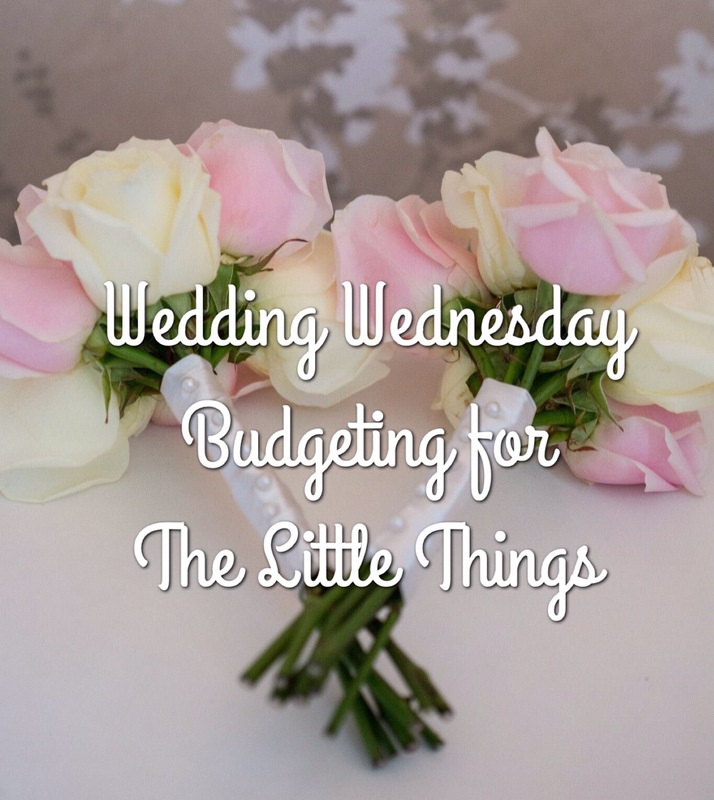 When I got married the first time round I was proud that we had done it all on a small budget, but I didn’t take into account all the little spending sessions on Amazon and eBay in the lead up to the big day. I must have spent easily a few hundred more on ‘bits and bobs’. This time round, with three children, money has been even tighter, and I’ve had to be a lot more savvy with my spending. From the start I factored the smaller items into the budget, and, if I have got carried away and added an extra item to my virtual shopping basket, I’ve moved money around to cover it. My biggest piece of advice would be to realistically set a budget for each smaller item on your list, and then stick to it. I always, without fail, search online across different shops for the best price for an item, and then look for voucher codes and offers to knock the price down further where possible. I just bought some beautiful rainbow club wedding heels using Ed’s unidays student discount code on House of Fraser to knock them down by almost a tenner, and I refused to pay the extortionate amount being charged for shipping for the cake topper I wanted from the states, and instead managed to find a UK based seller on Etsy who was selling it for a third of the price with fantastic reviews! The other thing I would say is worth noting is that Pinterest is great for ideas, but don’t get hung up on finding the exact items or you will get stung. I found a gorgeous paper bag (yes, I did just call a paper bag gorgeous) when searching for inspiration for our welcome bags for our guests but when I came across the exact bag on eBay they were being sold for £80-£100 for just 10 bags – crazy! Instead I’ve gone with a slightly less amazing, but still pretty nice design for a tiny fraction of the cost – and the contents will be being sourced from good old Primark. I’m a bargain hunter through and through anyway, our bridesmaid dresses ended up costing £7.50 each(!) in the Miss Selfridge sale, but by pinching the pennies on the little extras, I’m keeping the budget for the bigger things and getting the wedding (and U.K. Reception) we want without breaking the bank.